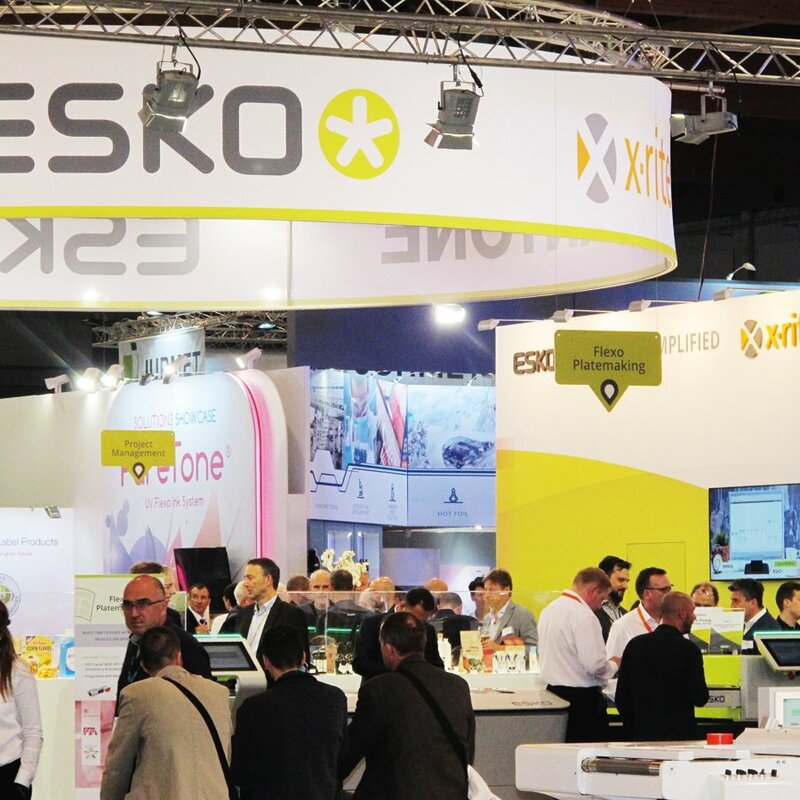 At the Esko stand at Labelexpo, X-Rite showcased new versions of eXact and ColorCert Suite with improved ease of use and one-click guides to help operators understand if they are compliant with G7 or PSO guidelines. It unveiled new versions of ColorCert Suite 3.0 process control software and the award-winning eXact handheld spectrophotometer. Both support all G7 and PSO metrics, and guide operators in determining whether printed output is compliant with the guidelines. The new products, combined with X-Rite’s InkFormulation Software, offer commercial printers and packaging converters an integrated, end-to-end solution for managing color consistency in a G7 or PSO process workflow. A growing number of brand owners as well as packaging and label converters are looking at extended color gamut printing, or CMYK plus Orange, Green and Violet (CMYK + OGV), to achieve more than 90% of brand and special colors using these as a fixed color set. In addition, brand owners, especially those in North America and Asia, are requesting G7 and/or PSO compliance from labels and packaging converters as a way to ensure consistent color across printing processes. G7 provides a structure that guides process print to achieve a common appearance for output across presses, printing technologies and production sites. Adopting the framework can help printers and converters meet brand owner requirements while increasing press uptime and Overall Equipment Effectiveness (OEE). Operators can now quickly measure output with the X-Rite eXact and export the data to ColorCert Pressroom for immediate G7 or PSO compliance determination. The new ColorCert software provides guidance as to how to quickly address any issues, including adjustments to density or ink strength using the BestMatch feature. By integrating X-Rite’s InkFormulation Software to this color workflow, operations can also ensure accurate ink formulations, validating the quality of inks upon receipt, as well as quickly creating ink recipes, including the use of leftover inks to create spot colors when required. The new eXact’s user interface now allows operators to choose one-step setup for G7 and PSO jobs for an 86% performance improvement over previous tools. A new quick menu tab on the front screen offers easy access to the most commonly used features in eXact. This includes one-click access to the Density/TVI tool for CMYK print processes and the L*a*b* tool for spot colors. X-Rite eXact still offers an enhanced mode for access to advanced features for power users, making it a flexible instrument for operators of all skill levels. G7 compliance in India and South Asia became easier with the establishment of Idealliance India in 2013. With Idealliance India members taking part in brand owner and converter seminars and demonstrations by Steve Smiley, there is increasing demand by brand owners for print quality validation by numbers and for converters to be G7 certified. In September 2016, a full 5-day hands-on G7 Expert training was held in Mumbai. Apart from training professionals in several companies, a number of G7 Experts are now available as consultants for training, best practices and calibration in several parts of India and in the Middle East as a result of the program organized by Idealliance India. The establishment has also set up a small color management lab at Noida and can be reached at www.ippstar.org and www.ideallianceindia.org.